Kris Anderson welcomed Visiting Rotarian Maureen Doerven, a writer from Sebastopol Rotary and, from the Rotary Club of Colima, Mexico, educator Susan Hill and Ted Rose, today’s guest speakers and founders of Project Amigo. Past President Will Haymaker introduced his wife JoAnn, Knoel Owen introduced his guest from the Sonoma County Superior Court, Dana Simonds, and Wayne Rowlands welcomed back his guest, Dinndayal Morgan. This week’s scholarship recipients were introduced by Rotarians from the Rotary Club of Santa Rosa: Jasmine Riviera, Danielle Friedrich, Kylina Matteoli, and Joe Grey made up Stage II. 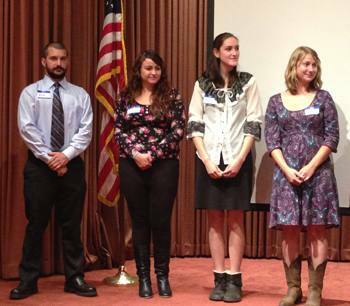 Scroll down for the Rotary Foundation Scholarship presentations. Two special guests giving away flats of sunflower sprouts were introduced today. Rachel Cutcher and JoAnne Cohen were giving away Sunflowers for Santa Rosa so we could all be ready for this summer’s Sunflower Festival in August. A hearty welcome back to Nick Knickerbocker, who appears to have recovered from his recent surgery, looking good and manning his post at the Raffle Table. Speaking of the raffle, the club’s greenest Red Badge member, Darren Elliot, came close to disaster when the lucky ticket was claimed by a smiling Ted Wilmsen, who had cleaned out the $910 Jackpot only three weeks ago! Fortunately he beat the improving odds and drew the 9 of Spades. Whew, that was close! Doug Johnson took the floor with the stunning news that we are halfway to meeting our goals for Giro Bello 2014, with six weeks to go. Giro Bello has been the major source of funding for our club’s non-profit grants and most important projects. In an updated report, Layne Bowen emphasized that we are half way to our goal of $30,000 in paid corporate sponsorships for the Giro Bello coming up on July 6th. This week we exceeded 250 registrations—25 percent more than last year at this time. Total ridership for the 2nd Giro Bello last summer was over 700 cyclists. This year, we are on track to meet our goal of 1,000 participants in this third Giro Bello. Last year we netted approximately $50,000 from this event. This year our Giro Bello goal is to generate $75,000 that will increase funding for our Rotary Club’s community projects and grants to local non-profit organizations. Both Layne and Doug urged all of us to get involved in this remarkable Rotary Club opportunity—our largest and most productive “hands on” project of the last three years. Volunteer now to help where you are needed most, contact Matt Fannin, Don McMillan, Layne Bowen, Carmen Sinigiani, Diane Moresi, or any member of the board. 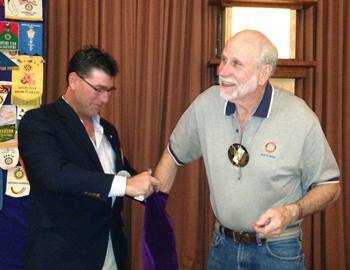 They are all listed in the club roster and online at http://www.santarosarotary.com/roster/members-list/. 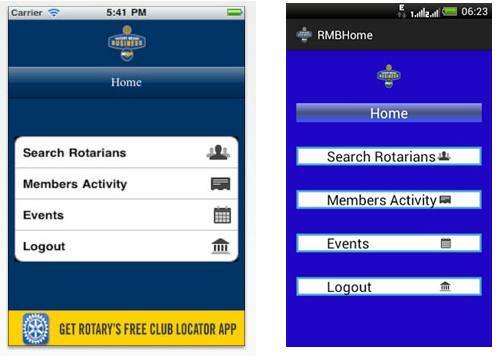 THE RMB APP – IT’S NOT JUST FOR iPHONE ANYMORE! Deborah Gray, who has done a great job as chair of this year’s drive for new members, announced— while no one had recruited two members to win the $100 grand prize—that several Rotarians had an additional member in the membership process. The new deadline will be Tuesday night, June 4th. Jeff Gospe announced that our club’s Youth Exchange Committee had overcome all bureaucratic obstacles of the local school systems and the club’s 17 year old exchange student for the coming year has been certified. Arriving in August for a year at Santa Rosa High School is Giovanni Provenzano, from Sardinia, one of the large Mediterranean Islands near the west coast of Italy. What a great learning opportunity for the right host family! If you’re interested, contact committee members Jeff Gospe, Craig Metzler, or committee chair Larry Miyano immediately. President William reminded us that a special board meeting of our club will be held on June 3rd to discuss the substantial increase in dues for all clubs in District 5130. All interested Rotarians are invited to attend the meeting at 5 pm, Monday, June 3rd, in the Salvation Army conference room, 93 Stoney Circle. Often referred to as Rotary’s forgotten Avenue of Service, a flyer distributed by Debi Zaft at today’s meeting brought it into the light as an added benefit of your Rotary membership; beneficial to your vocation and your business. For more details, contact Debi Zaft via email debizaft@sonic.net. Over the last 91 years, the Rotary Club of Santa Rosa has touched the lives of many thousands of people in Sonoma County, the state of California, the United States, and throughout the world. Rotary was the first service club in the world, and service to others has been our purpose since we were founded. The scholarships awarded by our 91-year-old Rotary Club are funded by tax-deductible contributions and gifts to the Rotary Club Foundation of Santa Rosa, the charitable arm of this Rotary Club. It accumulates capital to fund worthwhile grants, locally and internationally, creates and awards scholarships, and fund dozens of local projects every year. Each year, this foundation’s volunteers delivers free dictionaries to every third grade, we awarded 11 college scholarships worth almost $20,000 to outstanding, worthy local students, either to enter college, vocational training, university, or to transition from Santa Rosa Junior College to a major university. The Holly Plummer Honorary Scholarship, Maria Carrillo High School. 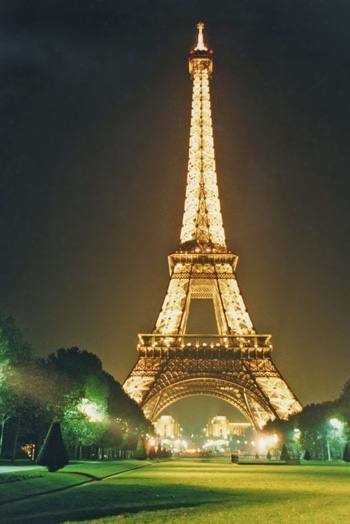 Major: English, University Choice—U. C. Davis. Career Goal is to teach at a Community College or University. The Larry Bello Memorial Scholarship. Pathways Charter School, Rohnert Park. Major: Social and Behavior Science. College of Choice: Santa Rosa Junior College & possibly Berkeley in the future. The John Brown Memorial Veteran’s Scholarship. Sir Francis Drake, San Anselmo. Major—Environmental Studies. College/University choice: Santa Rosa Junior College and Sonoma State University. The final 2013 Rotary Scholarship will be awarded at Rotary on May 29th. The story of Project Amigo is familiar to members of the Rotary Club of Santa Rosa. 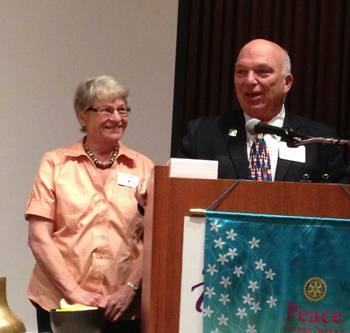 Founders Susan Hill and Ted Rose have visited Rotary Clubs throughout northern California. They visited this Rotary Club after we became a sponsor of Project Amigo, a nonprofit organization whose mission is to enable poor children of the state of Colima, Mexico, to achieve their highest potential, providing the children educational opportunities, material support, enrichment activities, along with medical and dental services not otherwise available. It facilitates partnerships between Rotary Clubs and individuals from Mexico and North America. For the past three years, our World Community Service Committee has designated Project Amigo as our as our anchor project, receiving one-third of our committee’s funds.by our World Community Service Committee, each year receiving 33 percent of the funds allocated to the committee as part of our Rotary Club’s many diverse avenues of community service from Santa Rosa & Sonoma County, the northern coastal communities of District 5130, and worldwide through Rotary International. The impact on the students’ education and lives in the remote backwaters of poverty around the active Volcan de Colima complex has been remarkable, as outlined by Ted and Susan in their presentation and the questions and answers that followed.